Dr. Thomas McIntosh, OD and the entire team at Carolina Vision Care have a keen understanding of a very simple, but essential principle: your vision and the way you see the world are one of the most important things about you. It is this guiding principle that informs patient exams, evaluations, diagnoses and treatments. As your eye care health partner, we recognize the importance of patient-focused care. The more we know about you and the more we understand your particular history and eye care challenges, the better we can treat your problems and tailor solutions that best meet your needs and preferences. A concern as equally important to us as building a report with you is making sure that you have the knowledge and tools to properly care for your eyes on a regular basis. Consequently, we strive to educate our patients on the basics of how the eye works and what they can do on an on-going basis to ensure optimal long-term eye health. As far as knowledge goes, our team at Carolina Vision Care has a lot of bases covered. Dr. McIntosh and staff have many years of industry expertise in all facets of eye care. As a full service eye and vision care provider, our Optometrists in Greenville, North Carolina are able to evaluate, diagnose and treat a wide variety of eye diseases and conditions. Many people choose contact lenses for the sake of convenience and for their ability to be inconspicuous. While contacts are a popular choice, they are not a “one-size-fits-all” solution. Sometimes, certain eye conditions require a specialized exam and fitting. 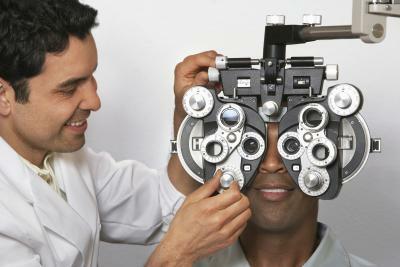 The doctors at Carolina Vision care can do those specialized evaluations and fittings. They can also help to educate patients on the best ways to care for their customized lenses and how to preserve them properly so that they work effectively over the long-term. The team at Carolina Vision Care believes that patient education a priority and our exams always include a thorough explanation of the evaluation, diagnosis, and the subsequent treatment recommendations. We currently serve Eastern North Carolina and surrounding communities. We know that our patients have come to expect a certain level of service from us and we are happy to meet those expectations. We feel that we’ve set the standard for a patient-focused approach and our goal will continue to be making sure that we equip our patients with the necessary tools and information that enables them to care for their eyes effectively long after they’ve left our office.